While planning your holiday event, be sure to grab these unique gold wreath place card holders. 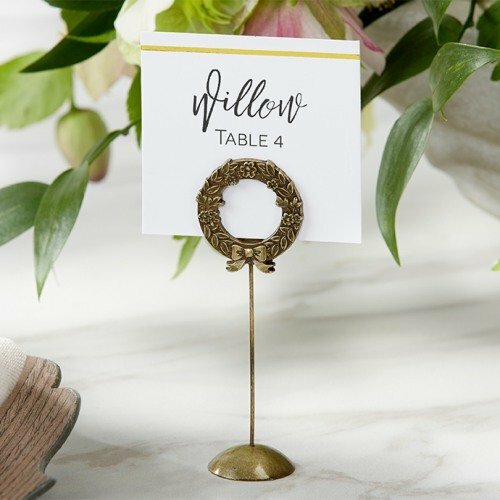 Shaped just like a lush laurel wreath, this place card holder features intricate details that will wow your guests. Each comes with a white place card with a gold foil line across the top.